William A. 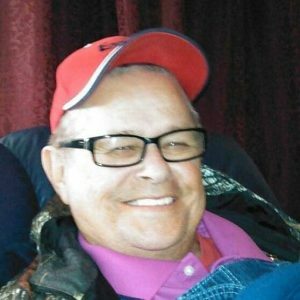 “Bill” Fleener was born November 5, 1945 in Kansas City, Missouri and departed this life on December 4, 2018 at the Pleasant Hill Health and Rehabilitation Center in Pleasant Hill, Missouri, at the age of 73 years and 29 days. He was the son of Virgil Alfred and Nona Roycle (Wendell) Fleener. Bill spent his younger years in the Strasburg, Missouri area, where he attended school. Most of his adult life was spent in the Pleasant Hill area. On November 8, 1973 Bill was united in marriage with Kathryn Hooper in Grandview, Missouri and they made their home in Pleasant Hill. Bill worked in the construction business for several years before becoming an over-the-road truck driver. In 2014, declining health forced his retirement. Bill was a proud and loving Grandfather who loved to attend all the sporting events and activities of his grandchildren. And, when time permitted, he enjoyed fishing. Bill was preceded in death by his parents, Virgil and Nona Fleener; one infant son; one daughter, Billie Jean Fleener; one grandson, Dakota Jackson, and one brother, Carl Fleener. He is survived by his wife, Kathryn “Kathy” (Hooper) Fleener of the home; two sons, William “Bill” Fleener, and James Swofford both of Kansas City, Missouri; four daughters, Melinda Stodgell of Kansas City, Missouri, Crystal Fleener of Harrisonville, Missouri, Rhonda Jackson and husband David, and Angela Lees and husband Scott, all of Pleasant Hill, Missouri; two sisters, Linda Lee Fleener of Centerview, Missouri, and Sharon Kay Fleener of Arkansas; 18 grandchildren, 12 great grandchildren, other relatives and many, many friends. Cremation has been accorded. A Memorial Service for William A. “Bill” Fleener will be held at 1:00 p.m. Saturday, January 12, 2019 at the Wallace Funeral Home in Pleasant Hill, Missouri, with Pastor Shawn Gray officiating.